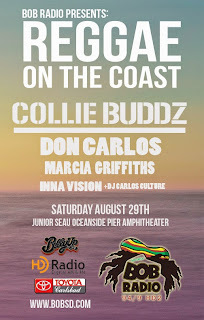 San Diego, CA: San Diego’s #1 Alternative Station, FM 94/9 (KBZT FM) and HD sister station Bob Radio SD (KBZT HD2) has announced the lineup for the 1st Annual Reggae on the Coast, to be held Saturday, August 29th at the beautiful Oceanside Pier Amphitheater. 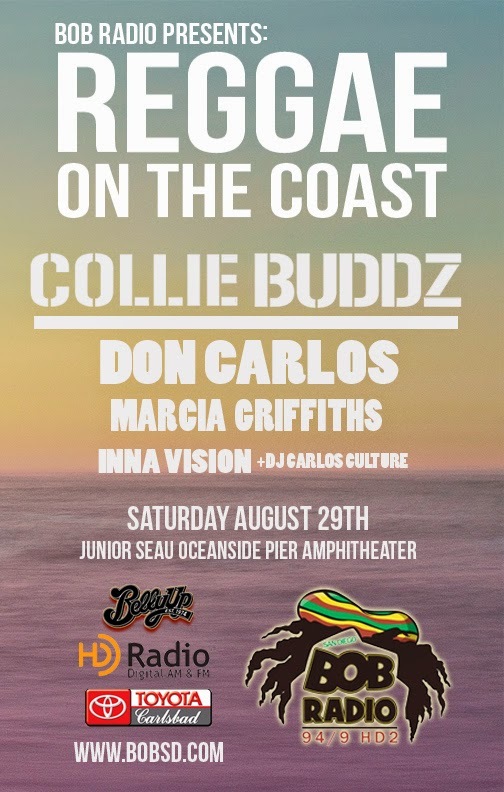 The concert lineup includes 4 great reggae acts, Collie Buddz, Don Carlos, Marcia Griffiths and Inna Vision, and the event will be hosted by DJ Carlos Culture. “Just like FM 94/9, our HD2 station Bob Radio SD is all about bringing the people of San Diego the music they love. 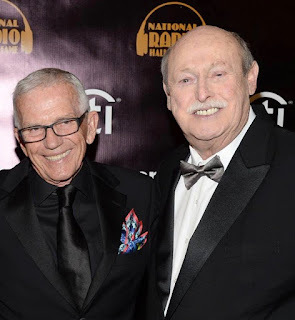 We know how much our listeners have bonded with Bob and what an amazing backdrop the Oceanside Pier Amphitheater will make for our inaugural show” said KBZT Program Director and LFMSD Operations Director Kevin Callahan. Tickets will go on sale Tuesday, May 26th and will be available at https://tix.extremetix.com/Online/?siteID=4225. More information can be found on the station’s website at www.bobsd.com.